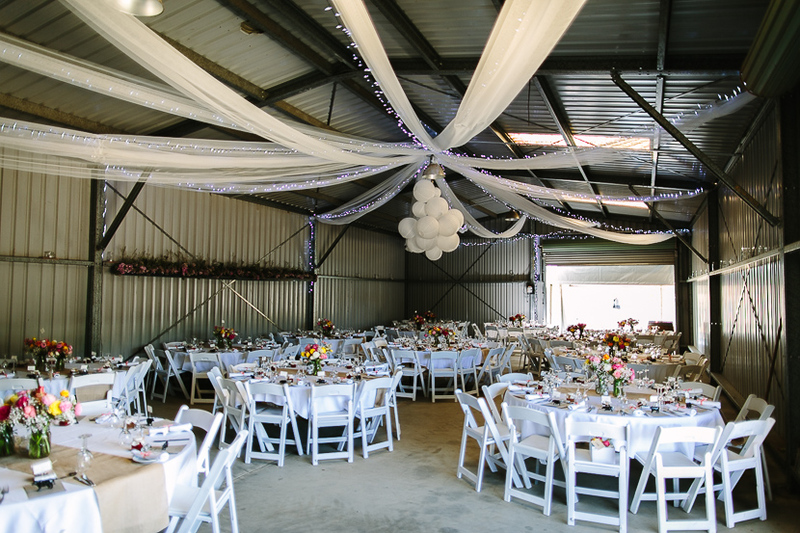 If you’re worried about weather or just want an added layer of decor to your backyard wedding, then the shed is the ideal solution. Think it can’t be done tastefully? 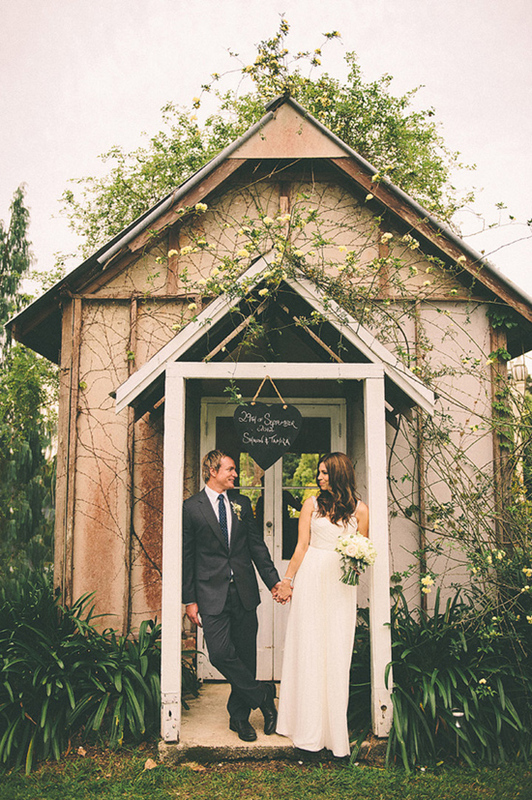 Check out this simple, but lovely, wedding on a farm in Australia. Classic decorations will make all eyes on the bride and groom, just as it should be. If an open air wedding isn’t in the cards like you’d hoped, as happened to this young bride, an open door shed wedding is the next best thing. 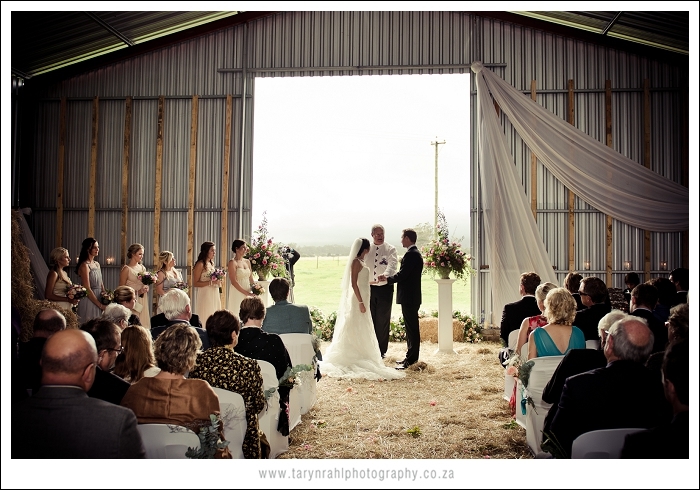 Check out Gita’s and Rick’s shed wedding on Oh Darling Days. 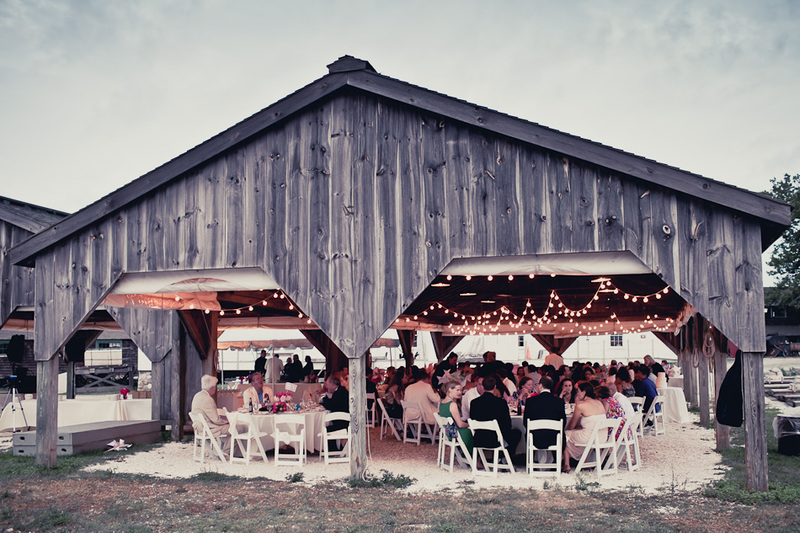 You don’t need a huge barn shed to have a wedding. 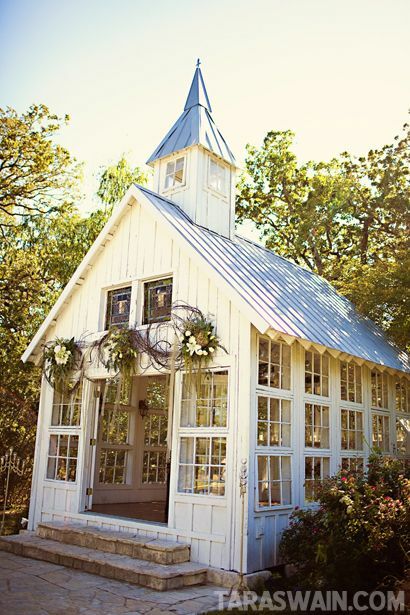 A small backyard wedding ceremony would be perfect in this adorable, spired shed. It feels like a small chapel doesn’t it? Backyard shed weddings aren’t the only way to go, this boat shed wedding is definitely above board. Hey, it’s your wedding, do whatever floats your boat! Say you’ve got a small budget wedding? Never fear, the shed wedding is here. This small budget backyard wedding captured the nostalgic feelings of these high school sweethearts using a shed, some drapes and a light floral touch. Let’s say you don’t want a backyard “feel” to your wedding, but can’t afford the big ballroom? 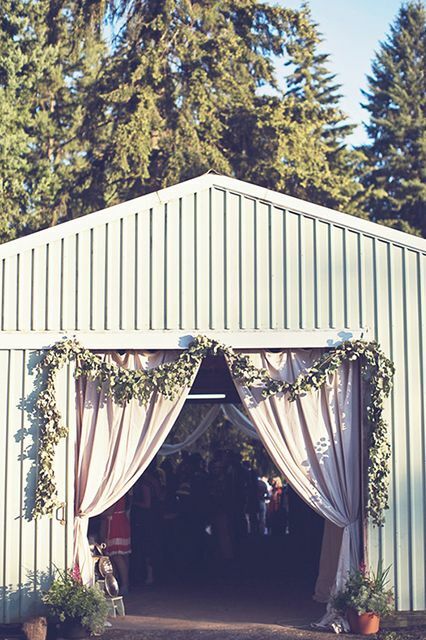 Make over your shed with this classic wedding feel. This gorgeous reception hall has cement floors and aluminum siding, but you’d never know it. 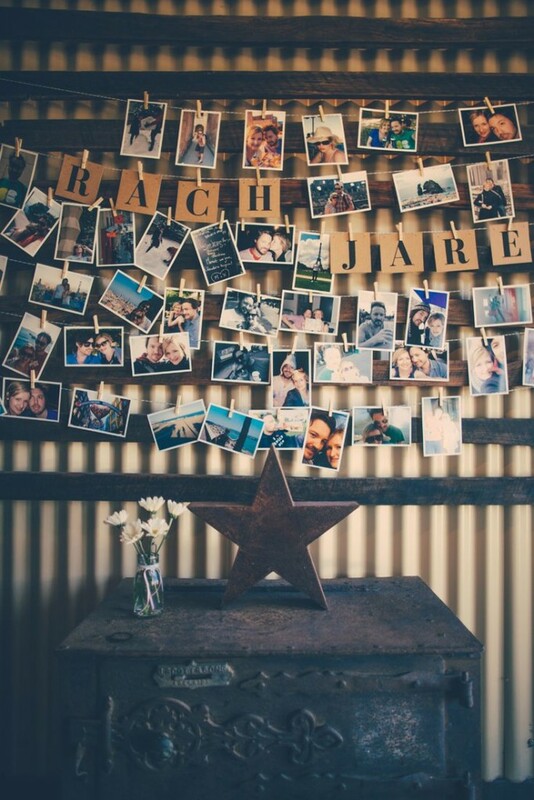 Rustic sheds also make a great a great backdrop for your wedding photos. Having your reception in the backyard? 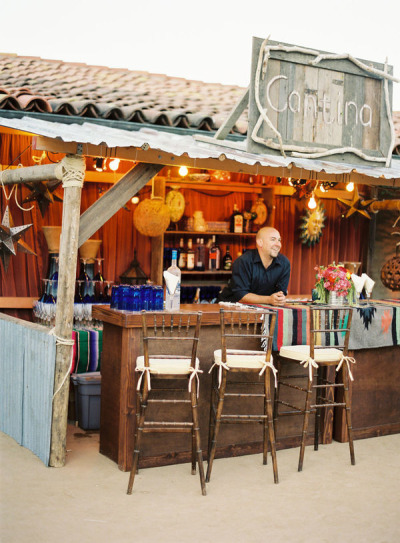 A shed can make the perfect wedding bar. 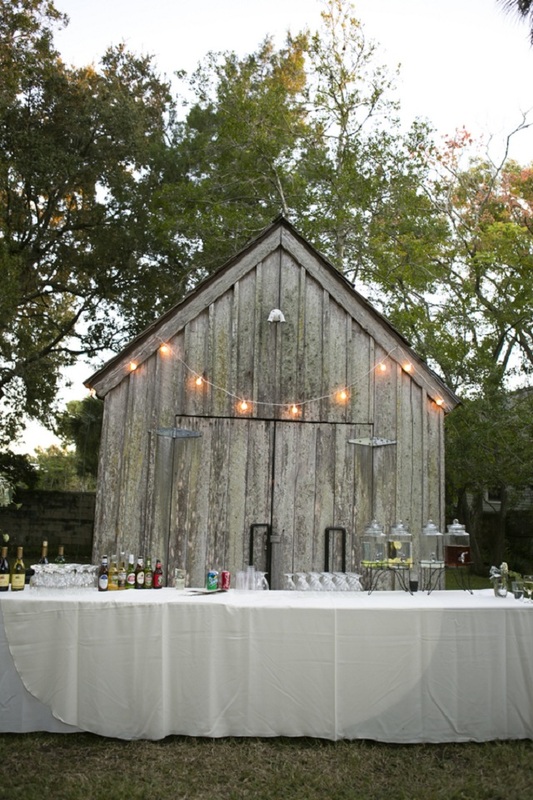 A bar shed can also lend a more party-like flair to your backyard wedding. 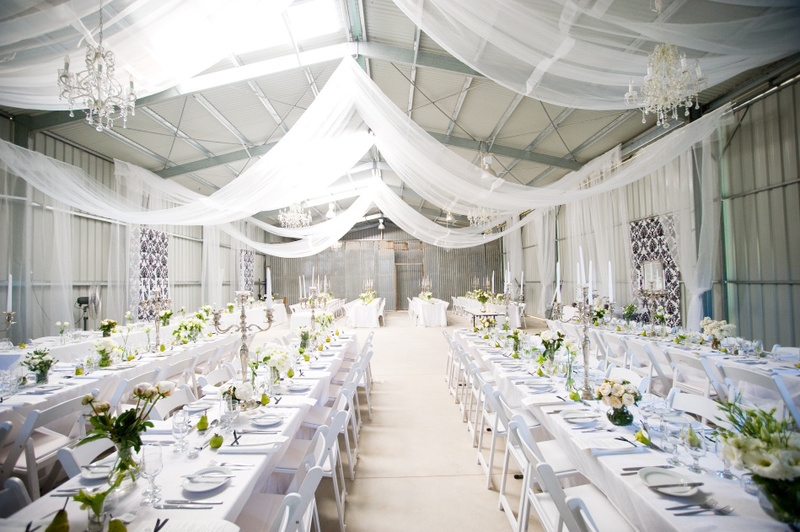 Let’s talk decor basics for a shed wedding. There are tons of great ideas out there, but one of the standards seems to be drapes. 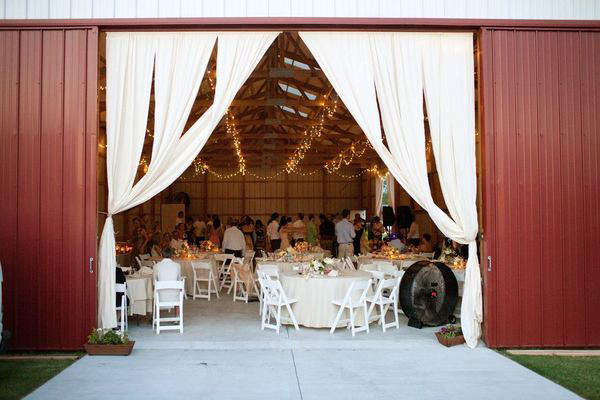 Drapes around the doorways, across the ceiling or along the walls will help make your shed wedding softer and cozier. 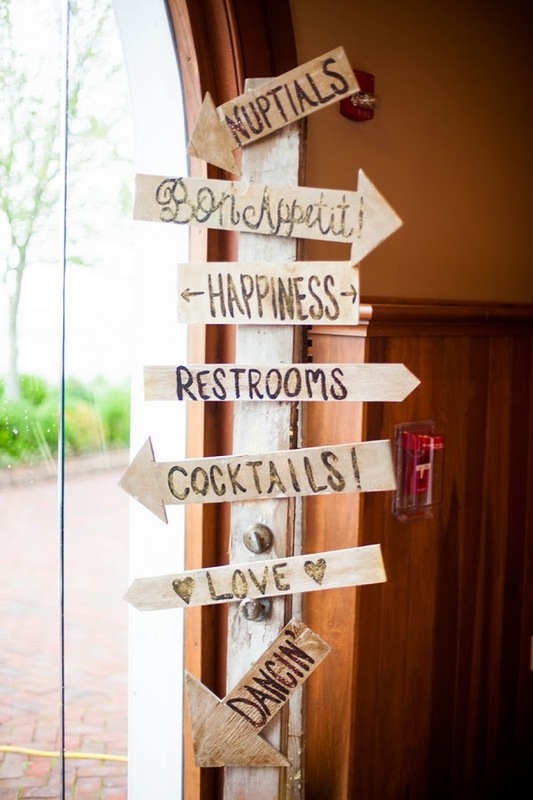 Since your shed wedding won’t be in a traditional building use for weddings, make sure to have some signage up for the basics. Ya know, people need to know where the waterin’ hole is, if ya get my drift. You may need to get creative with your lighting. 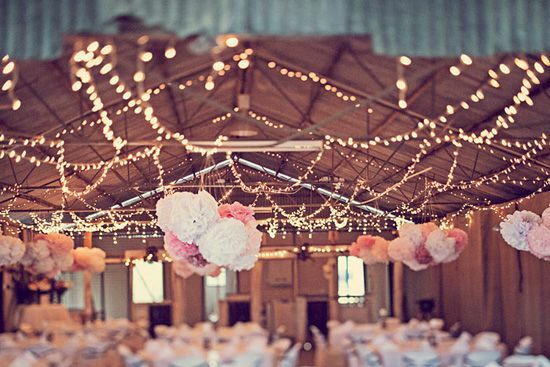 Whether you use string lights; paper lanterns; or antique chandeliers, give your guests softly lit, glowing lights to make your day a special memory. Photos of the special couple make a great wall hanging for guests to view while enjoying the festivities. If you’re looking to add a unique touch to your backyard wedding, consider using your shed to make your day special. It can be used for your vows, for added shelter and seating, or for your party entertainment. Sheds make a great addition to your backyard wedding! This entry was posted in Backyard Landscaping, Decoration, Organization and tagged shed weddings, weddings. Bookmark the permalink.